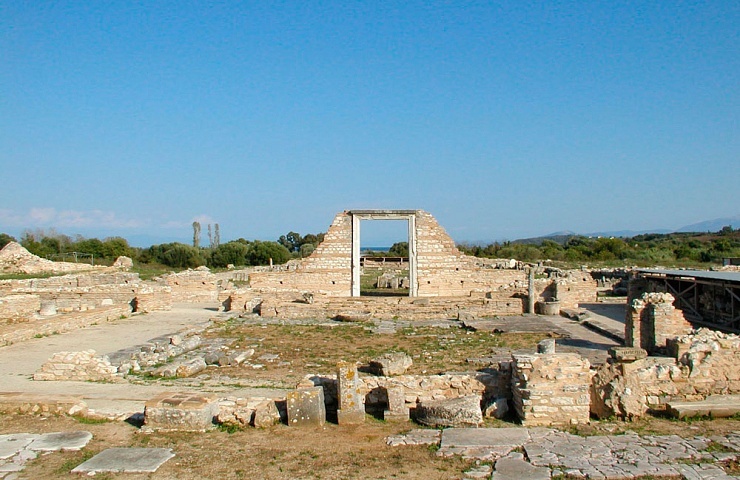 Nikopolis or Nicopolis (it means, the victory city) is probably the largest in size ancient city in Greece, but still few have heard about it! 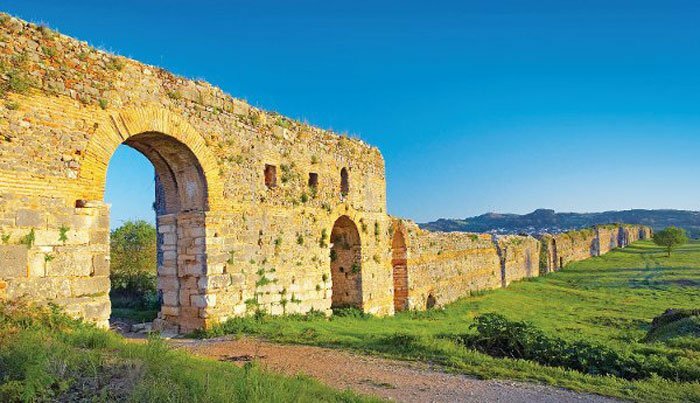 It is located about eight kilometres away from Preveza, in Epirus and it was built by the Roman emperor Octavian after his victory at Aktion against Antony and Cleopatra of Egypt! The size and the extensive walls are remarkable and totally stunning. 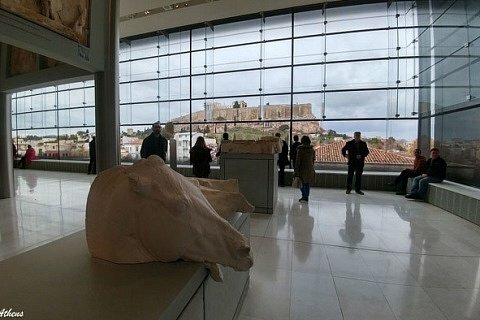 Within the archaeological site, you will find many interesting monuments and also note that Archaeological site of Nikopolis is included in the tentative list of UNESCO World Heritage Sites in Greece. 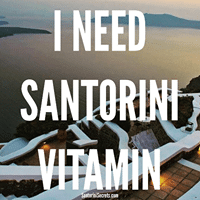 Find our post about the whole list here! The impressive Roman Odeon, which is located on the west side of the old Christian Wall and it includes the auditorium, the orchestra and the stage. 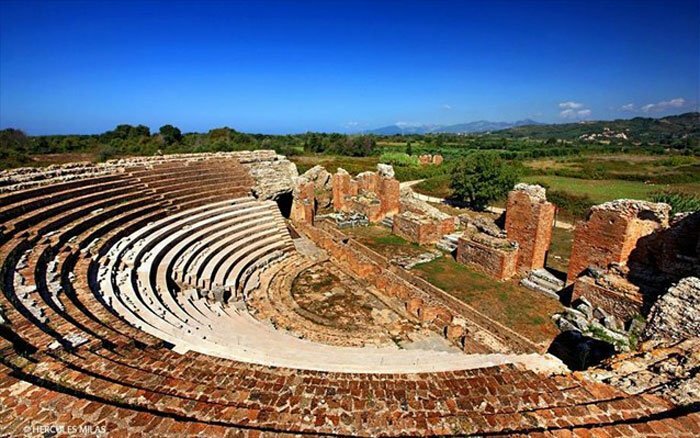 It was built in the 1st c. AD and remained in use until the second half of the 3rd c. The impressive theatre isn’t like the others ancient Greek theatres that you might visit! 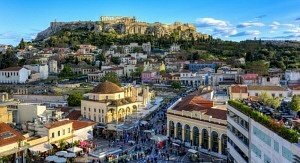 It constructively follows the logic of the Roman theaters of the period when it was built and it is entirely based on a built infrastructure that was created from three consecutive galleries and not in a natural sloping position, as it used to be in ancient Greek theaters. If you are lucky you might also you could attend concerts or theatre plays during summer time! There are seven notable Christian basilicas. Four lies within the perimeter of the Byzantine Walls. Basilica A was founded by Bishop Doumetios (525-575 AD) and is decorated with elaborate mosaics, combining floral and pictorial motifs. 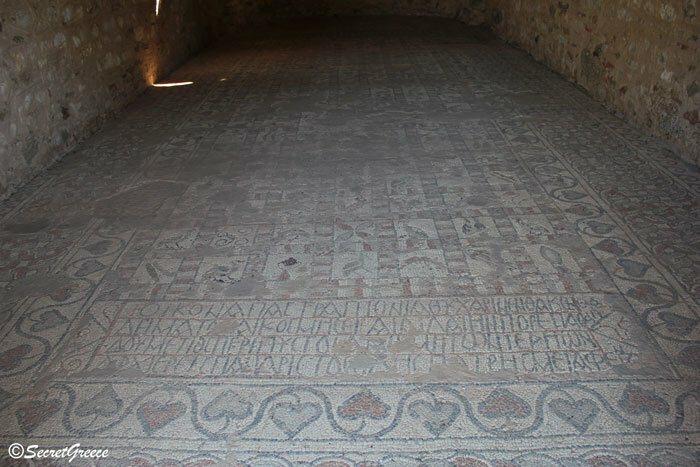 Mosaics are also found in Basilica B, built at the time of Bishop Alkison, who was active during the reign of Emperor Anastasios (491-518 AD). A century later (575-600 AD), another basilica, Basilica C, was built in the northern part of the Byzantine fortification, while in the south a fourth Basilica, Basilica ST (F), was discovered in 1981. Two other basilicas – the Asyrmatos Basilica and the Basilica of the Holy Apostles – are situated outside the perimeter of the Byzantine walls. The Roman water tower, which has a 50 km long pipeline and it carried water from the springs of Louros into the two tanks of Nymphaion in Nikopolis. The Theatre, which is located south-east of the monument of Augustus. The scene is high, probably two floors, with three arched entrances. The performances were given in the “logeion” between the stage and the orchestra. The monument of Augustus. It was founded by Octavian-Augustus, 31 BC, after the battle of Aktion and it was dedicated to Mars, Poseidon and Aktion Apollo. Please note that the main entrance of the site (near which are the two churches and the conservatory), the monument of Augustus and the theatre are about a ten-minute drive! So, as you realise, we didn’t lie when we mentioned that probably is the largest ancient city! 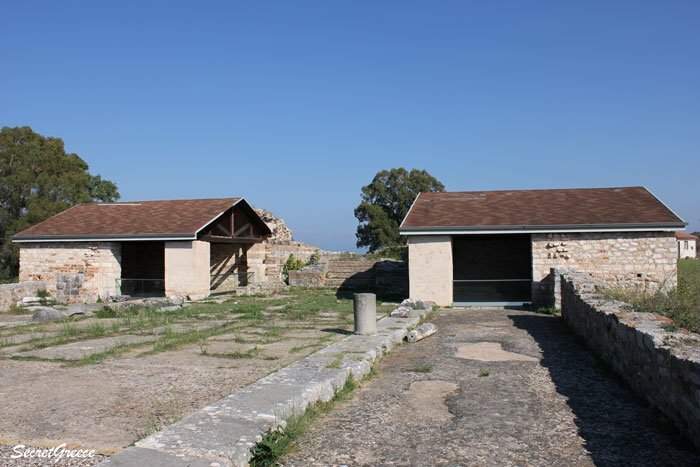 Many of the findings from excavations in Nikopolis are hosted in Archaeological Museum, 5 km away from Preveza. Also, please take into account that time to time some monuments are closed to the public, for maintenance reasons. 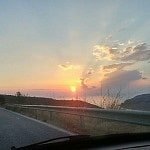 We visited Nikopolis during around amazing road trip in mainland Greece. 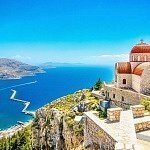 Find more about this road trip that has never happened in Greece before here! 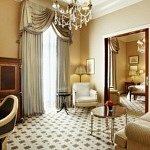 NewerBest historic hotels in Greece! 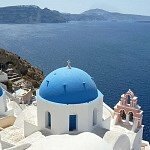 Older5 Greek travel startups that you need to check if you visit Greece!